Fancy Working for the Red Devils? 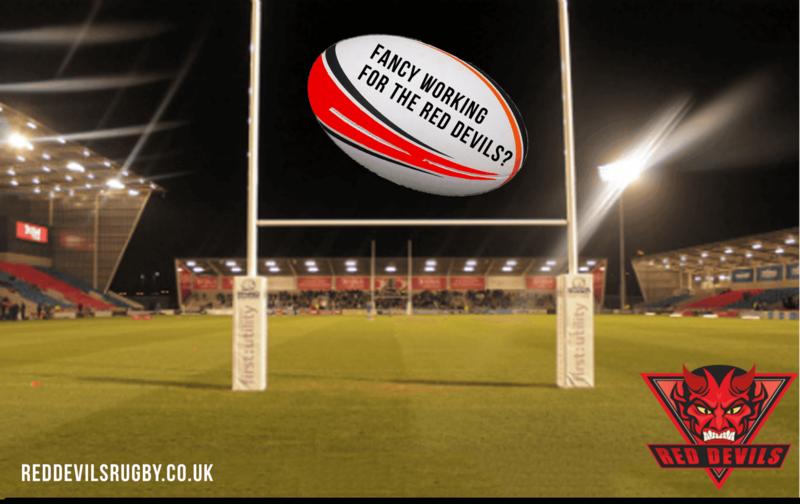 The Club have an exciting opportunity for people to become part of our sales team, who help spread the word about the club and the Salford red Devils Foundation in Salford and the surrounding area. This part-time sales advisor role comes with flexible hours (16 - 20 per week), a competitive hourly rate and extra incentives such as bonuses and commission. The ideal candidate will be passionate about Salford Red Devils RLFC and will be comfortable speaking to members of the public. Access to own transport is preferred although not essential, and experience in sales is an advantage. All sales advisors will receive full training and will benefit from excellent career prospects further down the line.